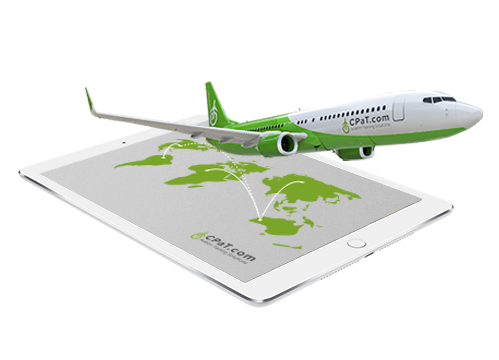 Core product offering includes fundamental training with level 3 interactive functionality. A subset of existing CBT product formatted for use by classroom instructors. 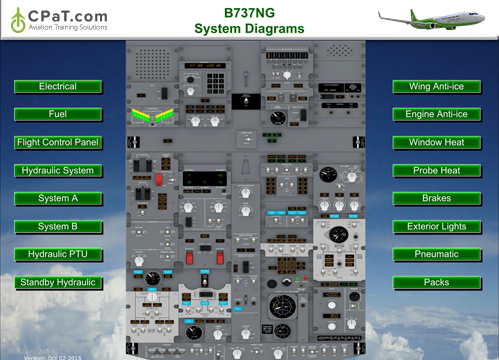 Includes a portion of the control panel and the corresponding diagram. 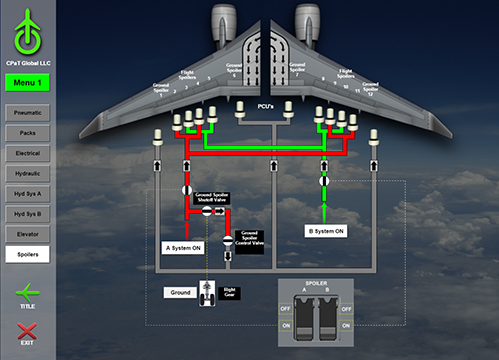 Incorporates complete control panel (Hanne) with corresponding CPaT diagram. 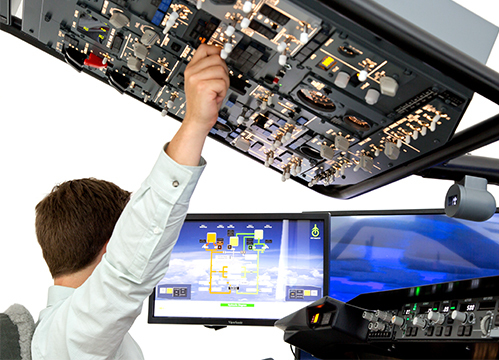 CPaT diagrams are integrated with Pacific Simulator equipment to link pilot actions with corresponding system Sold as an add-on to simulator equipment.